Whether your a consumer, restauranteur or wine retailer you’re always on the search for the perfect bottle of wine, well I’m here to tell you like Santa Claus & the Easter Bunny, it doesn’t exist. Whether I was selling wine to consumers or wine buyers I’ve come across many who spend way to much time looking, tasting & researching for that perfect bottle. What I find interesting is many are those who are looking in the under $10 price point. With wine being subjective, everybody has their opinion on what a wine should be and what perfection is. I remember working with one restauranteur who was looking for a Pinot Noir for his by the glass list for months and tasted him on almost every one in my portfolio, and after he tasted with me and other sales people he finally made a decision. Fortunately for me it was one I showed him. Another was still considering a $6.50 bottle of red for over 6 weeks, that they had already mentioned they liked. Searching for the perfect wine is the motivation for many consumers & buyers. Nowadays there are is an ocean wine on the market from all over the globe, and more on the way, so it’s no wonder that people think that perfection is somewhere out there a drift. So for those of you that are on the search, just keep in mind it’s not the destination but the journey. Is Zinfandel Rose the same as White Zinfandel? With the increasing popularity of rose wine in the last few years, I wondered if zinfandel rose’s are the same as white zinfandel. Are some wineries using the word “rose” to distance themselves from white zinfandel drinkers and white zinfandel’s reputation. Are they true roses’ with more complexity and tannins than white zinfandel? White zinfandel’s tend to use “free run” juice, just using the weight of grapes on top & not getting skin contact and tannins from the skins. Rose’s get their complexity and character from the skin and tannins. If you call it a ‘Rose of Zinfandel” is it bad marketing and/or too confusing? Posted on July 26, 2011 Categories rose, tannins, white zinfandel, wineLeave a comment on Is Zinfandel Rose the same as White Zinfandel? 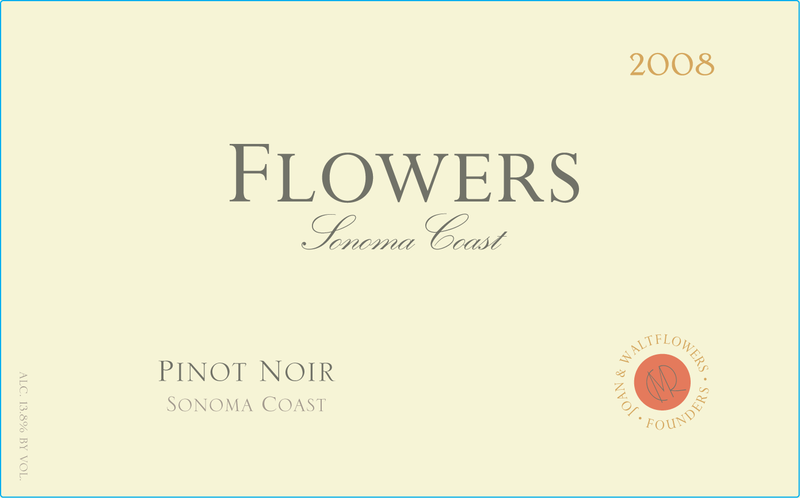 Started in 1989 by transplanted east coasters Walt & Joan Flowers fulfilling their dream, have made Flowers Winery into a staple on the northern California Chardonnay and Pinot Noir scene. From high a top their vineyards in Sonoma, Walt & Joan and their team, make wine from estate vineyards, Flowers Ranch and Camp Meeting Ridge and other vineyards from throughout the Sonoma Coast. Using several different clones the 2008 Sonoma Coast Pinot Noir is light in color, yet bold on the palate. Aged in French oak and coming mostly from Flowers estate vineyards it’s made in a Burgundian style, as it has good toasty oak and good fruit, along with mild tannins it offers balance and complexity. Leather and spice make for a nice finish. This wine will be at it’s best in the short term. Pairs well with roasted meats and salmon. 13.8% Retails about $45. Michael and Robert Crane have been making wine since 2001 using grapes from their families 9 acre Crane Ranch Vineyard in the Oak Knoll district of Napa Valley. The vineyards are on the valley floor and on the hillsides above and are overseen by Jon Anthony Truchard. Using organic and sustainable farming methods they produce less than 400 cases each of their wines. 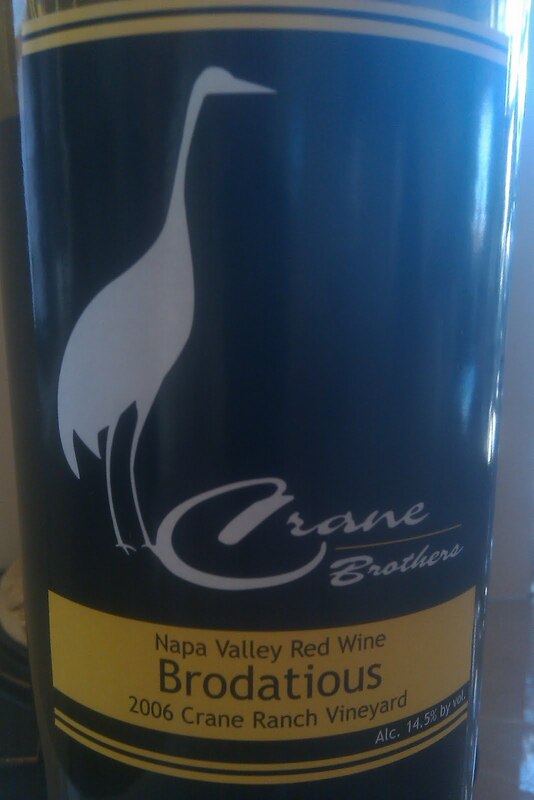 Winemaker Al Perry has been making Crane Brothers wines since the beginning. He also makes wine for Robert Biale Vineyards where he is also co-owner. In his 25 year plus career, Al has made wine for some of the most well respected wineries in Napa Valley including Stags Leap Winery and Opus One as well as for Yalumba in Australia. 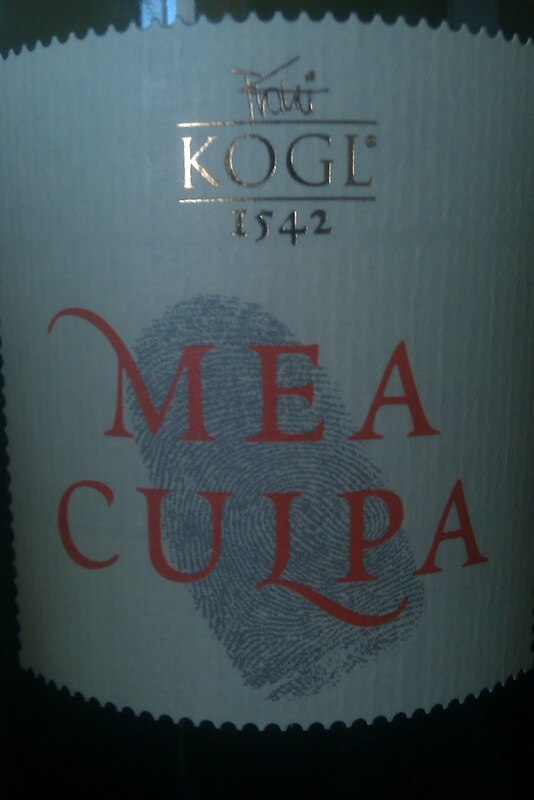 Back in 1542 is when Kogl Estates starting producing wine in the Podravje region of Slovenia, not far from the Hungarian and Croatian borders. It was dormant for quite a while until 1983 when the Svetko family bought the winery and vineyards and brought both back online. Using both old world traditions and new world technology Kogl specialty is white wines, with red wines having been recently added to their portfolio. Dessert wines are also being made. The 2010 Ranina is rare grape and translates to “early ripening”. 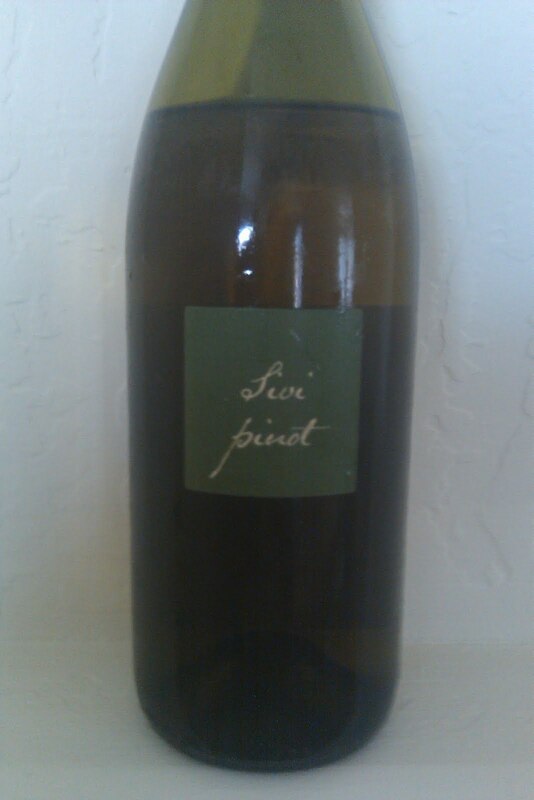 With a pretty nose of honey and wild flower, the wine is dry on the 1st sip and has a good mouth texture. Good acidity and fruit gives this wine a nice balance that could be paired with both hot and cold foods. It could also be drank by itself. This wine is an excellent example of a rare grape from an emerging wine region.